Latest data released by the Australian Bureau of Statistics has indicated an increase in the number of construction jobs in New South Wales by a record number. The detailed labour force data reveals that the total number of people employed in the construction industry across the nation increased by 28,200 in the last three months leading to February. This is the highest level on record with a 2.3% increase as compared to the number of people employed in the construction sector at the same time last year. 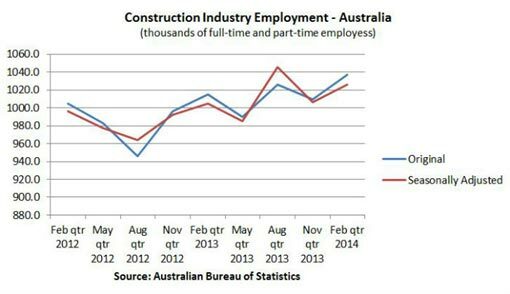 New South Wales has the highest surge in employment in the construction industry with around 27,900 new workers. Employment also recovered in Victoria and the Ichthys project has also generated a boom in employment in the Northern Territory.